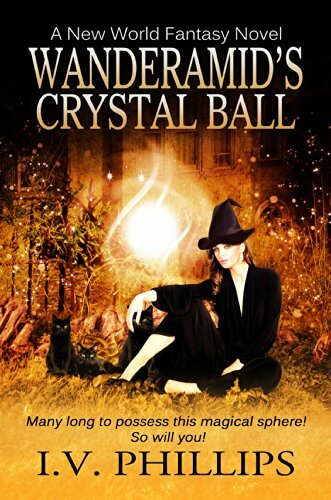 about this book: Emera is a powerful witch from Wanderamid who owns a unique crystal ball. She places a curse on two young girls, after one of them intentionally causes her to do so. The devious young girl, Devilea, has the power to trick Emera into another dimension where she lives the next three years as the principal at Whilom Elementary. When the end of the school year arrives, she has an encounter with a certain student, Rena Winterton, who suddenly creates an idea how to retrieve the crystal ball away from Devilea. However, Emera's plan backfires! Rena enters Wanderamid and Emera's left in Whilom! As a child and daydreamer, I started to write poems, drew, wrote song lyrics, and drew again. When the years went by, in a world, I had no control of, my imagination went full course, taking me to a place where I could express, creating my story, Wanderamid's Crystal Ball. Even though this fantasy novel is primarily for Mg / Ya readers, everyone truly can read it! It gave me so much joy creating characters I believe those who read my novel will enjoy. It took me many years to write Wanderamid's Crystal Ball, years I will cherish for the rest of my life. I wanted it to be as real for the readers as it was for me. The cover of my novel is exactly out of one of my scenes. The first time I saw it, immediately I felt as though I had seen it many times before! When you get to that scene, you will know! The hardest part writing Wanderamid's Crystal Ball was the ending. I didn't want it to end. Then, I thought, is there really an ending to any book? I did research in every aspect of my novel, from within myself, my heart, my morals and my emotions. When my readers open the book of Wanderamid's Crystal Ball, I hope they begin to experience and believe that even in their lives, anything is possible!